Diabetic Foot Care | Diabetic Wound Prevention Diabetics run a higher risk of developing life-threatening wounds and sores. It is critical that you have your feet regularly inspected by a podiatrist. According to the U.S. Centers for Disease Control and Prevention (CDC), over 29 million Americans currently live with diabetes, including roughly 8 million individuals who are unaware they have the disease. If you, or one of your loved ones, are diabetic, it’s important to know about the relationship between diabetes and foot health. Understanding the disease, and especially the measures you need to take for effective diabetic foot care, makes a major difference in your health – on that can potentially even save your life. 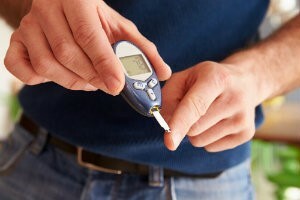 If you are diabetic, you likely know the disease comes with numerous implications for your health and wellbeing. These include matters like heart disease, kidney disease, pancreas malfunction, increased risk of heart attacks and strokes, and vision problems (even blindness!). Diabetes is obviously a serious medical condition. It’s important, though, not to overlook the effects this disease can have on the health of your feet. 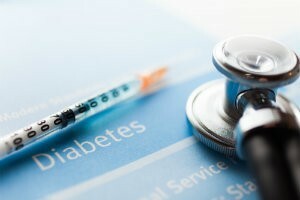 With diabetes, your blood cells are unable to receive and process the glucose (sugar) necessary to function properly, especially with regards to having energy and being able to grow. Two major complications often accompanying diabetes that can lead to dangerous conditions in your feet are peripheral neuropathy and peripheral arterial disease (PAD). To put it simply, peripheral neuropathy is another term for damaged peripheral nerves, which are the ones that branch out from the spinal column and extend throughout the body. When functioning correctly, these nerves enable you to move and experience physical sensations. Diabetes can damage these nerves and cause you to experience things like tingling, burning, or “electrical” pain that should not exist. Perhaps more concerning, peripheral neuropathy can also lead to numbness. The reason this is particularly alarming is the fact it becomes possible to sustain a wound without being aware it exists. When neuropathy (nerve damage) is present and you are unable to feel things like a tiny cut or scrape, it will likely go untreated and can become infected, which could ultimately lead to an emergency room visit. The other major complication frequently associated with diabetes is PAD. This is a condition of poor circulation that develops when blood vessels have become hardened and narrowed, thereby restricting the amount of blood able to flow to the extremities, especially the lower limbs. Your body relies on blood to provide nourishment to body tissue, and especially when an injured body part needs to be repaired or an infection needs to be fought. Daily foot inspections. Physically inspecting all surfaces of both feet on a daily basis is necessary to discover any problems at their earliest, most treatable stages. This is especially important for those who have neuropathy. Perform your inspection before going to bed, and use a mirror or the assistance from a loved one if you are unable to see the bottoms of your feet. Exercise. Regular exercise promotes healthy blood flow and reduces your risk of diabetic complications. Be careful with this, though, and do not start an exercise program without consulting with Dr. Reister and your primary care physician first. Protection. If you have diabetes always wear footwear, even at home! Before putting on a pair of shoes, take time to inspect the insides and make sure nothing is in them that could damage your feet. Proper foot hygiene. Wash your feet every day with warm (not hot!) water, mild soap, and a soft hand towel. Afterwards, gently pat your feet dry with a soft towel and take special care to ensure the areas between the toes are not damp (attractive to bacteria and fungus) before putting on diabetic socks. Moisturizing. Fissures and cracks accompanying excessive dryness provide a path for fungus and bacteria to potentially enter your body—which features the damp, dark, and warm conditions they need to thrive—and create a dangerous situation. You can reduce the risk of this happening by moisturizing your heels, tops, and bottoms of your feet. Avoid the areas between your toes, however (to minimize infection risk). Regularly scheduled appointments. We are on the same team when it comes to your foot health. Coming in to see Dr. Reister for regular appointments makes it more likely issues are caught at their earliest stages and treated appropriately. We also have tips and advice to help prevent problems from developing in the first place. We have various treatment options to address issues that arise, but the best course of action is simply to follow preventative measures and a comprehensive diabetic foot care plan. With that said, be sure to reach out to us as soon as you become aware of anything unusual or out of the ordinary. For more information on the comprehensive foot care services we provide, or to request an appointment to see Dr. Reister, give us a call at (972) 690-5374 to connect with our Richardson, TX foot doctor office.